Acute Intermittent Porphyria: What is it? Acute Intermittent Porphyria is the most common acute porhyria, which results in neurological symptoms. 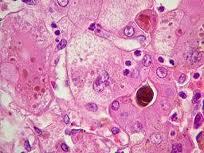 The disorder is a hepatic porphyria and is resulted from enzyme called porphobilinogen deaminase deficiency. Such enzyme is also known as hydroxymethylbilane synthase. The lack of enzyme is inherited from 1 parent, but most of people with inherited trait, never develop symptoms. Acute Intermittent Porphyria happens in individuals of all races, but is more likely to occur in Northern Europeans. Other factors such as diet, hormones, or drugs required to activate this disorder and produce the symptoms. Such medications as sulfonamide antibiotics, antiseizure medications and barbiturates may cause an attack. Hormones including Progesterone and similar steroids, may precipitate symptoms, as well a large alcohol amounts intake and low-carbohydrate or low calorie diets. Psychologic upset, surgery, stress resulted from infection and another illnesses are also implicated. Generally, factor combination is involved. In some cases, the factors that result in an attack, may or not be recognized. 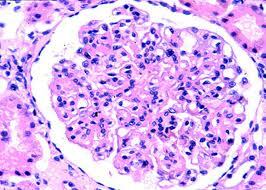 Symptoms of the Acute Intermittent Porphyria happens in attacks, lasting few or more days. 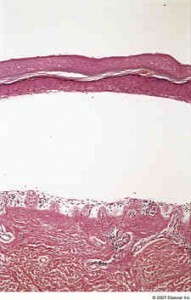 Such attacks occur after puberty and most likely to appear in females than in males. In some females, attacks develop during the 2nd half of the menstrual cycle. Pain of the abdomen is a major symptom. The ache may be so severe that the doctor can mistakenly suggest that surgery of the abdomen is required. Gastrointestinal symptoms may include abdominal bloating, diarrhea or constipation, vomiting and nausea. The person’s bladder can be affected, causing urination to be difficult. 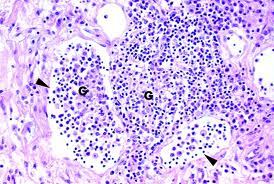 Restlessness, rapid heart beat rate, sweating, and high blood pressure are also common during Acute Intermittent Porphyria. All such symptoms caused by effects on the person’s nervous system. Nerve that controlling muscle, may be damaged, resulting in weakness, usually starting in arms and shoulders. Seizures and tremors can progress. High blood pressure may last after attack. Recovery can happen within several days, although, full recovery caused by severe muscles’ weakness can take few months or years. Diagnosis of Acute Intermittent Porphyria is made by performing laboratory examination to measure the levels of 2 heme precursors (porphobilinogen and delta-amino levulinic acid) in the urine. Levels of such precursors are extremely high during Acute Intermittent Porphyria attacks and remain high in individuals with repeated attacks. The precursors may produce porhyrins, which are redish in color and others which are brownish. The urine can be discolored, particularly, after exposing to light. 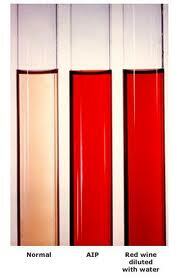 These urine color changes can help the doctor diagnose porphyria. Severe Acute Intermittent Porphyria attacks are treated with heme, which should be given intravenously. After such treatment, porphobilinogen and delta-aminolevulinic acid levels are promptly decreased and symptoms improve, generally within few days. If not treated promptly, recovery is prolonged and certain damage of the nerve can be permanent. A diet high in carbohydrates or glucose given intravenously, may be also helpful, but these treatments are less effective than hematin (heme). Pain is relieved with medications until a patient responds to glucose or heme. Acute Intermittent Porphyria attacks may be prevented by avoiding the medications that may provoke them and maintaining proper nutrition. Crash diet to lose weight quickly must be avoided. Premenstrual Acute Intermittent Porphhyria attacks in females may be prevented with gonadotropin-releasing hormone.